With two Big Ten series under their belt, the Terrapins will hit the road for the first time in conference play this season, traveling to Ann Arbor for a three-game set with Michigan. Maryland (16-17, 3-3 Big Ten) held James Madison scoreless for the final 11 innings of Tuesday’s extra-inning win, using a career-best seven innings of one-run ball from freshman starter Mark DiLuia and a strong bullpen effort to pick up a 2-1 victory. DiLuia notched a second straight successful midweek performance and has now allowed just two earned runs in his last 13 innings on the mound. In his last two starts, though, he’s received-decision with a lack of run support. The Terps bullpen, which cost them a chance at winning their series against Illinois last weekend, was dominant. Grant Burleson, John Murphy and Kevin Biondic combined for five scoreless innings out of the bullpen, allowing four hits and two walks while striking out seven. Offensively, Maryland had similar struggles with runners on base, going 0-for-14 in those situations through the first eight innings. Shortstop AJ Lee tied the game with a clutch RBI double to force extras, and right fielder Randy Bednar singled with the bases loaded to Maryland its first lead in the top of the 12th. Head coach Rob Vaughn said after the game that it was a good win for his team, being able find one more run than their opponent. 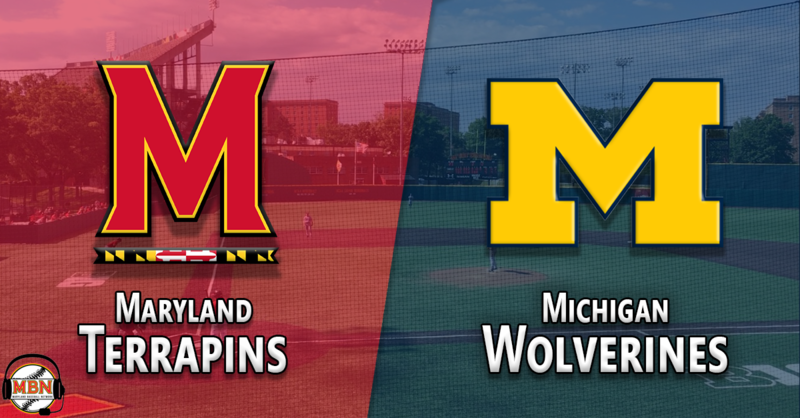 The Terps will look to build off their extra-inning win on the road this weekend against the red-hot Wolverines. When Michigan lost at home on March 14 to Lawrence Technological University—an NAIA baseball program—the Wolverines dropped to 4-11 on the season. Since then, though, Michigan (19-11, 6-0 Big Ten) has rattled off 15 consecutive wins, including sweeps of Michigan State and Northwestern in its first two conference series. The Wolverines are averaging 7.4 runs per game during their current winning streak, compared to 4.5 in their first 15 games of the season. Juniors Ako Thomas and Jonathan Engelmann each have 30 hits in the team’s first 30 games, leading Michigan’s offense. Ako has been cold of late with only one hit in his last 15 at-bats. His 23 walks ranked third in the Big Ten, and he’s only struck out 17 times. Engelmann, though, ranks in the top 10 in the conference with a .325 batting average. He leads the Wolverines with 39 hits and 24 RBI. The Wolverines aren’t a long-ball team, hitting just 12 home runs in 30 games this season. Jesse Franklin is the team’s greatest power threat, pacing Michigan with four homers and a .493 slugging percentage. They steal a lot of bases, though, ranking third in the Big Ten with 52 steals in 69 attempts, including three players (Thomas, Engelmann, Christian Bullock) with double digit stolen bases. Pitching has been a strong part of Michigan’s season so far, boasting a 3.29 team ERA. During Wolverines’ current winning streak, their pitchers have held opponents to 2.8 runs per game with four shutouts. Junior William Tribucher is one of the top arms out of the bullpen, allowing four earned runs in 22.1 innings the season. The southpaw has struck out 26 batters and walked just eight while picking up three saves. Freshman Jeff Criswell has also found success as a reliever with a 2.21 ERA in 20.1 innings pitched. the right-hander is holding opponents to a .179 batting average. All three of Michigan’s weekend starters have been successful this season, all with ERAs in the threes or below. Friday night starter Tommy Henry is 5-0 with a 2.52 ERA, averaging over six innings per start. Ben Dragani starts on Saturdays, and he leads the Wolverines starters with a 1.13 ERA. Karl Kauffmann rounds out the weekend, striking out more than one hitter per inning this season. Maryland and Michigan met up last season in College Park, with the Terps taking two of three games against the then-ranked No. 18 Wolverines. The last time the Terps traveled to Ann Arbor, they were ranked No. 11, but lost the series. Michigan is 11-1 at home this season. Taylor Bloom will look to bounce back from one of his worst college starts last week against Illinois. The right-hander allowed 10 earned runs on 10 hits in five innings last Friday night. He also walked five hitters in his sixth loss of the season. While he has a team-high six losses, it’s typically because of a lack of run support and not a poor performance. Despite a short outing for his standards, Bloom still leads the Big Ten with 55.1 innings pitched, and he has completed six innings in six of his eight starts. He has done a great job this season pitching deep into games, allowing the bullpen to rest up for the rest of the weekend. Tommy Henry has emerged as a quality Friday night arm for the Wolverines this season, posting a 5-0 record in eight starts. In his last start against Northwestern, the southpaw allowed just two hits in six innings while striking out nine. If it weren’t for his 111 pitches, Henry might’ve had a chance to continue his scoreless outing. The sophomore ranks sixth in the Big Ten in ERA and third in opposing batting average (.202). Henry pitched 2.1 scoreless innings of relief last season against Maryland. Blohm responded well after a poor outing two weeks ago against Northwestern, allowing just one earned run in 6.1 innings in a win against Illinois in the back-end of a doubleheader last Friday night. The sophomore scattered five hits and struck out nine batters. Blohm struggled against the Wolverines last season, lasting just three innings after conceding four earned runs. He only allowed three hits, but walked two and hit a batter en route to a loss. The southpaw leads all Maryland pitchers with 45 strikeouts in his 46.1 innings of work. Dragani was absolutely dominant last weekend against Northwestern, allowing just one hit over seven innings without allowing a run. He walked one and struck out five en route to a Wolverines 3-0 win. In his freshman season, the left-hander leads the Big Ten right now with a 1.13 ERA and a .150 batting average against. He’s much more of a contact pitcher, striking out 27 batters in nearly 40 innings. Dragani was Wisconsin’s Gatorade Player of the Year in 2017 and an All-State recipient. Parsons continues to impress week after week this season, allowing just one run over 5.2 innings last weekend against Illinois. He received the no-decision in what turned into a Terps loss. The right-hander allowed three hits while striking out seven hitters. Parsons lowered his ERA even further, and it’s still the lowest among Maryland’s starting pitchers. The junior ranks second in the Big Ten in innings pitched (51.2) and eighth in opposing batting average (.215). 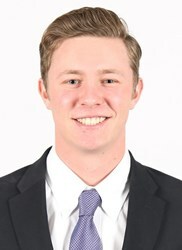 Kauffmann didn’t have his best stuff in his latest outing last weekend against Northwestern, allowing five hits with three walks and a hit batter in five innings. He didn’t let that hurt his performance too much, though, conceding just two earned runs. Kauffmann doesn’t pitch particularly deep into ballgames with as season-high of 6.2 innings. 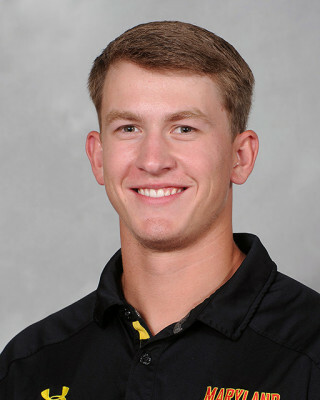 The right-hander hasn’t pitched more than six innings since that season-high on March 3, so the Terps will look to get into the Wolverines bullpen as early as possible.